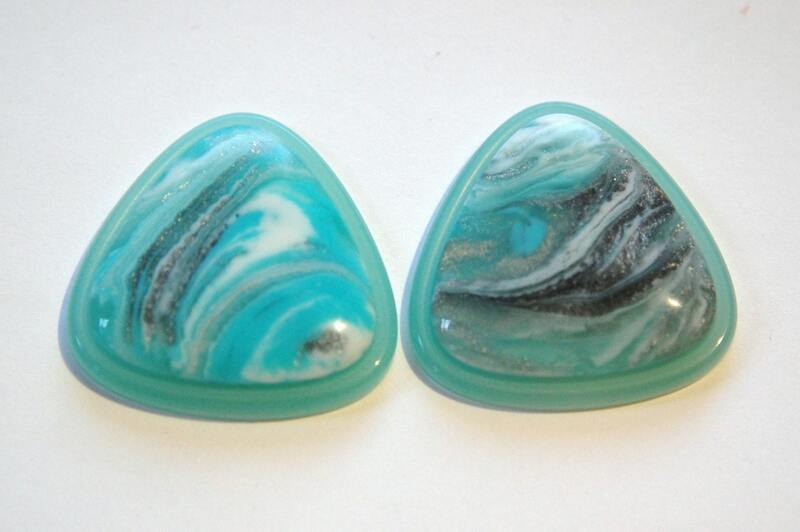 These are really unique cabochons. They have a swirled design done mainly in aqua blue/green with white and some areas of silver. The design has depth, you can look into the design, it is not just a surface application. These are made from quality materials. The design is random, each piece is different. They measure 30mm. You will receive 2 of these. I am posting these in other colors and shapes too. Very pretty, beautiful color. Received fast and in great condition. Thanks. OMG this shop has the fastest shipping ever love they products.